Wow! This house has its own full sized indoor basketball gym! This is actually something that I have always wanted in my house, so hopefully one day I can. I have tried finding where this house is located but have had no luck. If you know where this house is please let me know, and I will update this article. Just imagine watching a NBA basketball game and then playing a basketball game right after in the comfort of your own home! 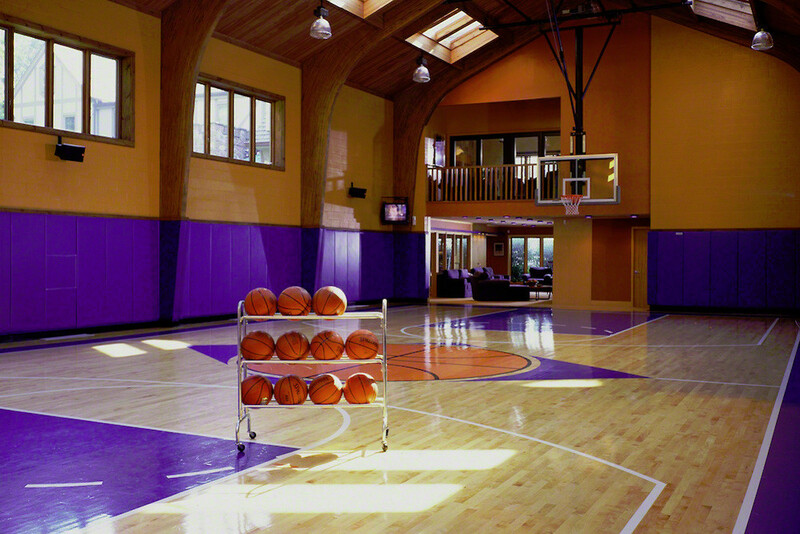 Would you want to have a basketball court in your house?